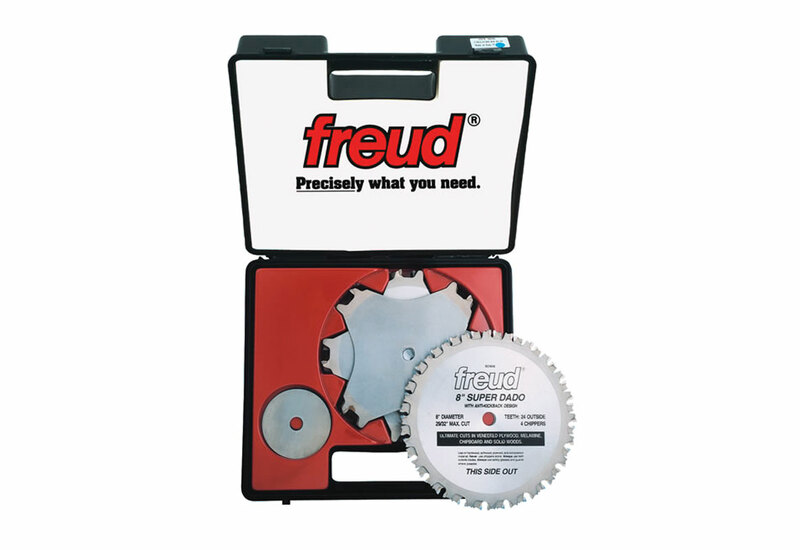 The Freud Super Dado Set has cuts everything from veneered plywoods and laminates to solid wood, chip and splinter-free with a super smooth, flat bottom. The SD500 series dado sets were the first to include a 3/32" thick chipper and has the flexibility of an adjustable dado to handle today's undersized plywood. This allows the cut width to be adjusted in 1/32" increments and doubles the number of slot widths available. A shim set is also included with the dado set for fine adjustments. 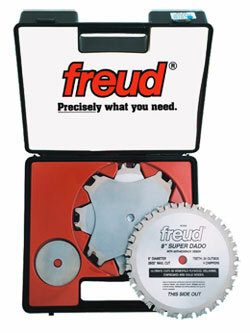 Use on all table saws, and radial arm saws for cutting slots, grooves, dadoes and rabbets. Economy Dado Set - 6"
Economy Dado Set - 8"